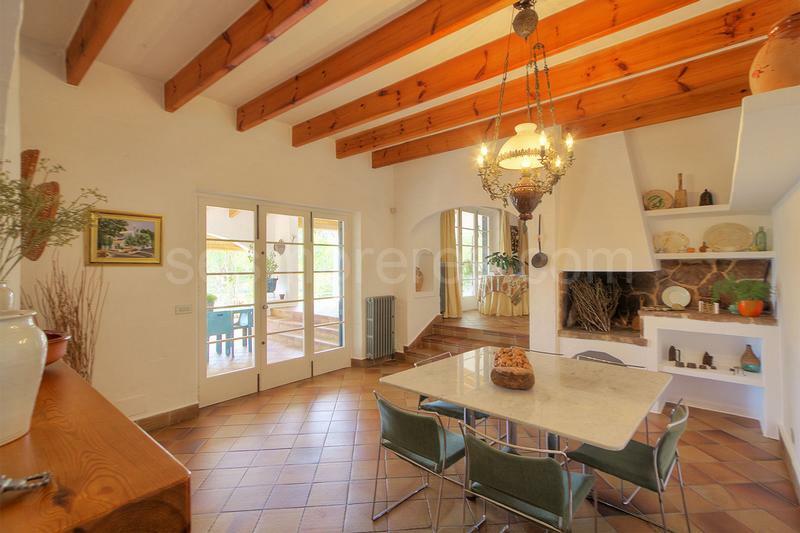 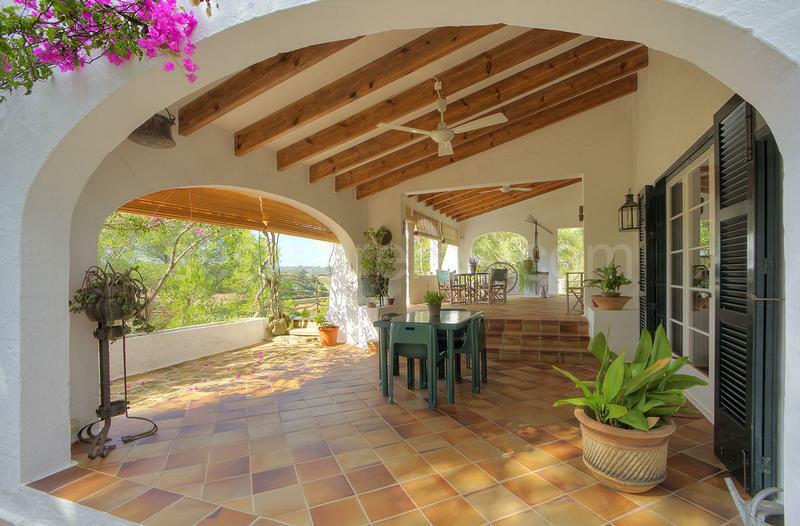 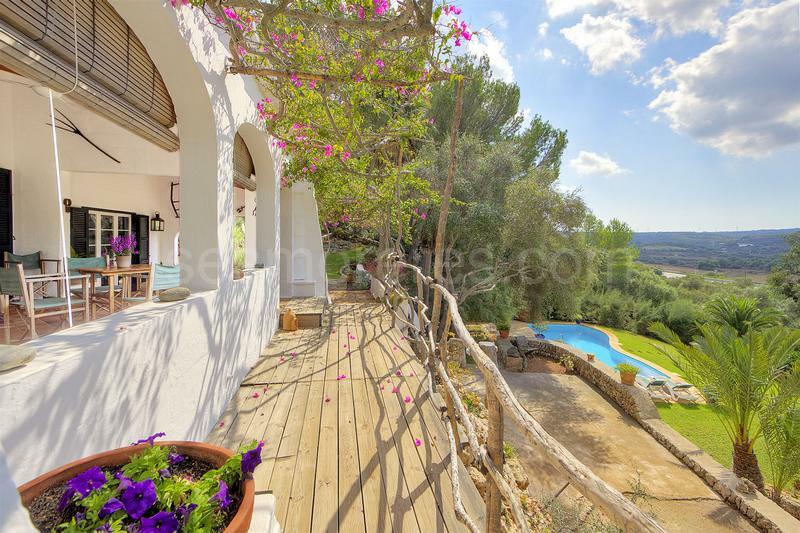 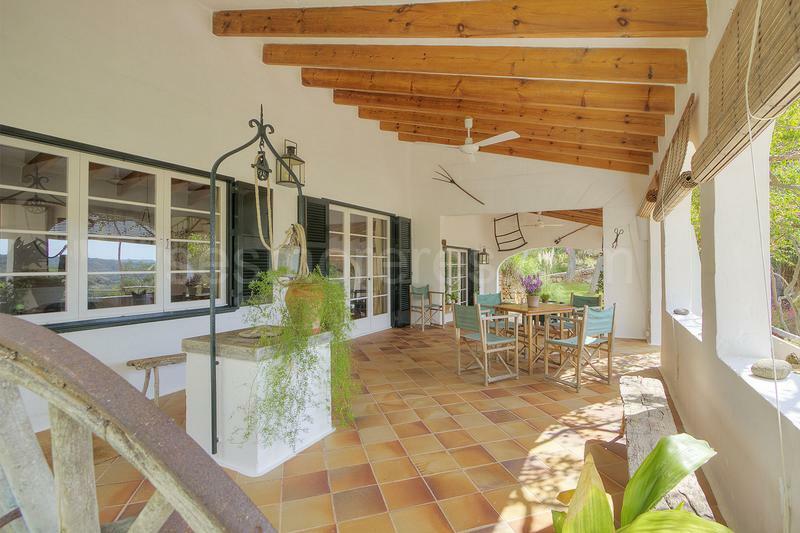 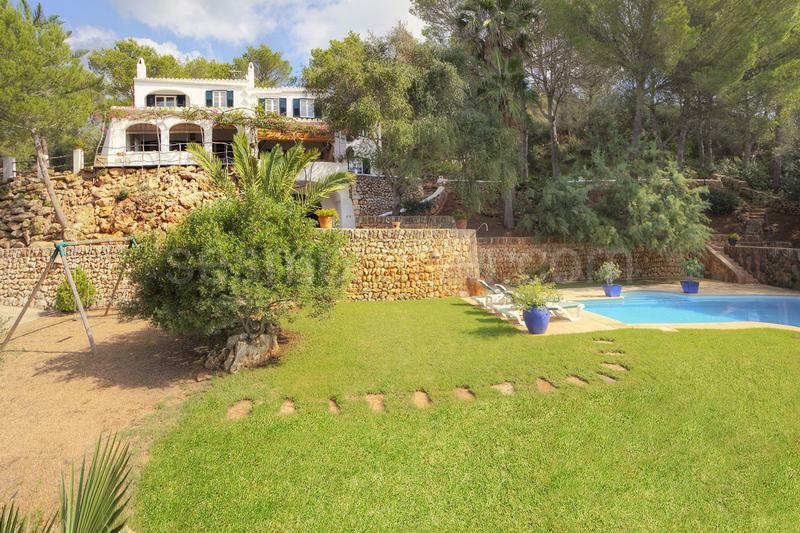 Beautiful country house built in the late 80s The property has style and is made with traditional Menorquin building materials combined with a very comfortable design and with all kinds of details. 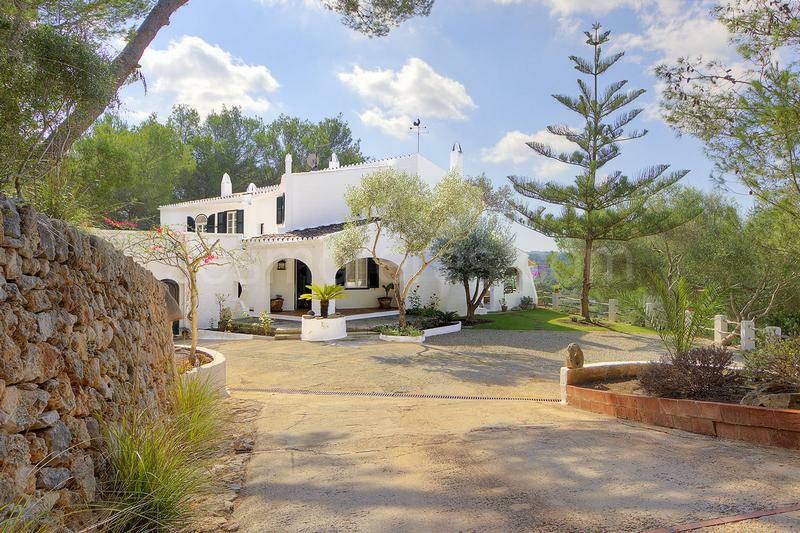 It stands on a plot of 10.300m2 enjoying beautiful panoramic views of the surrounding countryside and forests and its gardens. 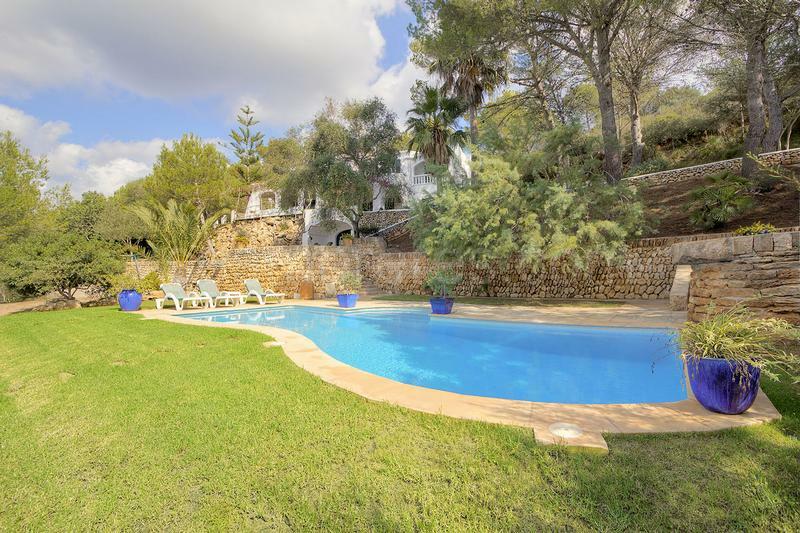 Its perfectly designed garden has lawns, a large pool area with barbecue and large terraces, garden area with trees of all kinds. 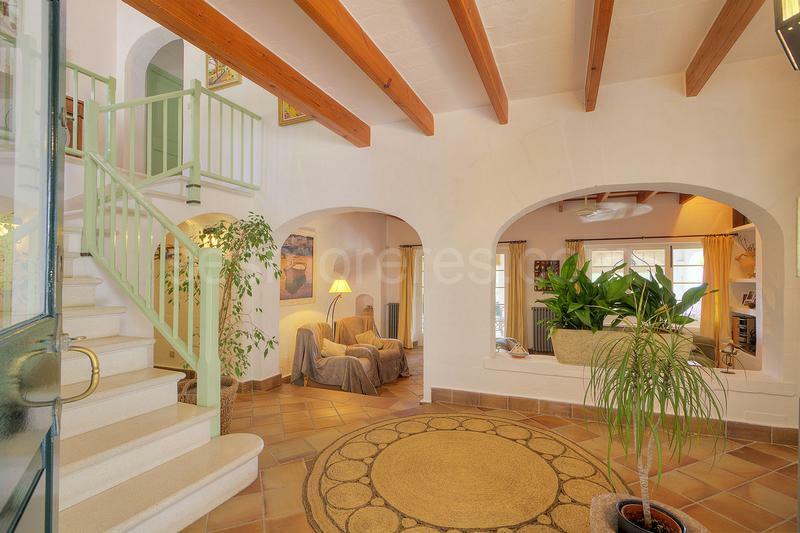 Also, it has a large parking area and a large garage of almost 120m2. 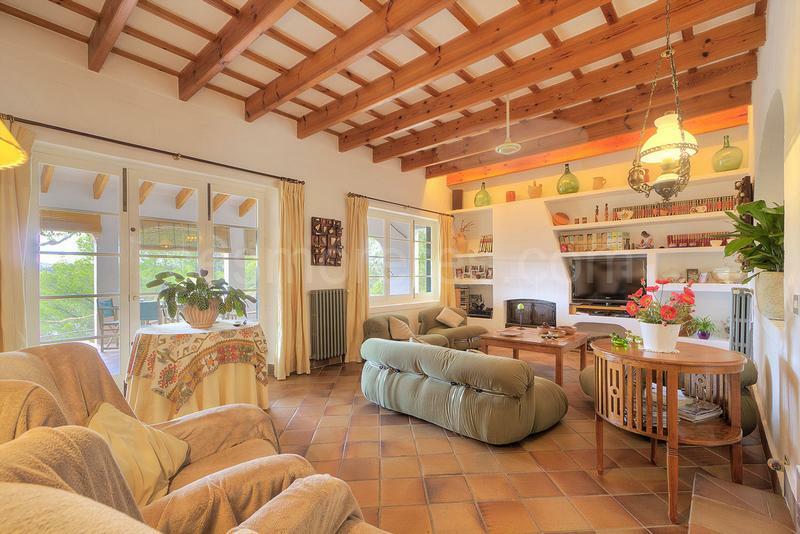 The house is in excellent condition with air conditioning, central heating and piped music system, a fully equipped kitchen, a beautiful dining room, a large living room, plus an annex ideal for guests plus a housekeeper’s area. 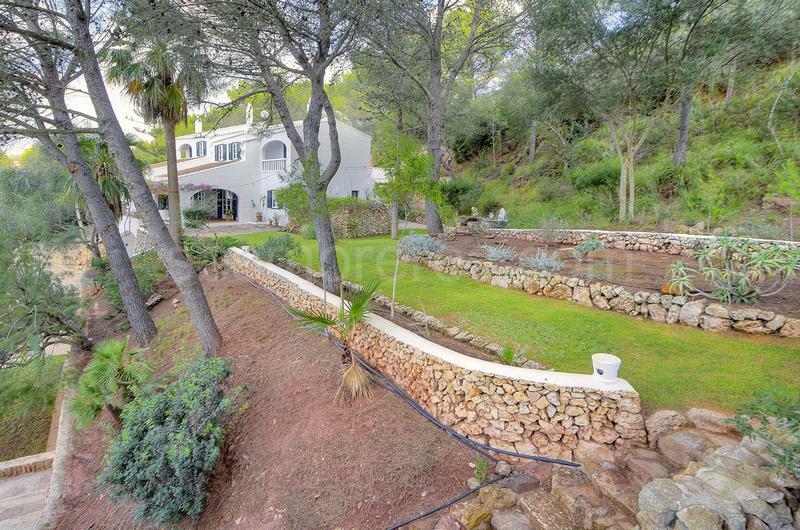 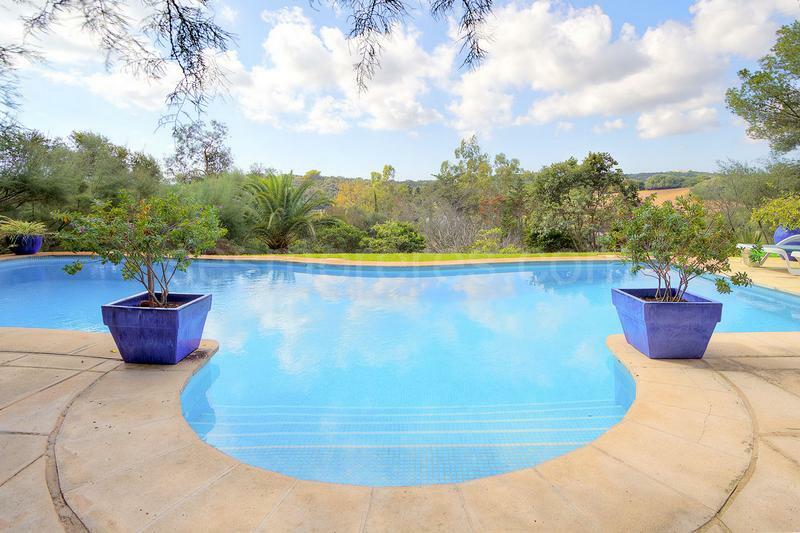 Built surface 450 m², 10300 m² plot, 5 bedrooms (2 suites, 3 double), 3 bathrooms, cloakroom, kitchen, laundry room, dining room, terrace, garden, garage, built-in wardrobes, heating, constructed in 1988, fireplace, air conditioning, south facing, swimming pool, storage room, energy certif. 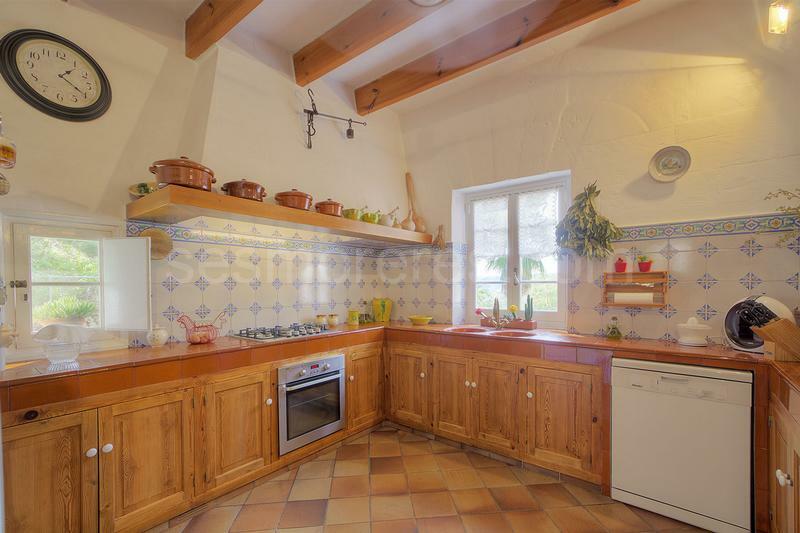 (E) 129,60 Kwh/m²a.